Our speech-language pathologists diagnose and treat individuals with vocal problems, cognitive-communication impairments, and stutters. 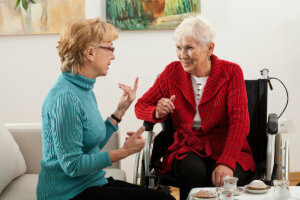 Your swallowing or speech problems are may be affected by a physical impairment, emotional issues, and learning disabilities. To provide a solution, our speech therapists customize examination and establish a care plan to assess the patient’s progress. They also help patients who have been in a traumatic experience re-learn proper swallowing techniques. For more details, you may call us at 708-801-8662. To schedule a meet-up with us, go to our Set an Appointment page to learn more. You may send us a message using the form below. We have an on-call representative who will entertain your concerns or queries. To get in touch with us, use the contact details provided below.